The original makeup authority with an unparalleled cult following. With products informed by makeup artistry expertise, M.A.C Cosmetics has been at the forefront of fashion for over 30 years. M.A.C Cosmetics is known the world over for being the leading professional makeup authority. Every global beauty phenomenon has to start somewhere, and M.A.C was created out of a need for makeup that photographed true to life. Makeup artist and photographer Frank Toskan and salon owner Frank Angelo began creating their own cosmetics in their kitchen, selling them directly to fellow makeup artists as well as models as photographers. Before long, stylists and fashion editors were avid customers and the first M.A.C counter was launched in a Toronto department store in 1984. M.A.C has always been more than a makeup brand - from its commitment to cutting edge makeup trends and technologies to the sense of community and social justice, M.A.C pushes the boundaries of what a makeup brand can and should be. 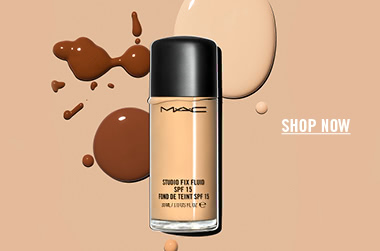 M.A.C Cosmetics celebrates diversity in all its forms, championing individuality and creating products for all ages, all races and all genders. Across the globe, the community of M.A.C Cosmetics makeup artists are proud to bring this vision of creativity to life. A staple backstage at fashion shows around the world, M.A.C is continuously innovating in the realm of makeup artistry. Never settling, M.A.C are known for setting trends and their unique collaborations that draw inspiration from all areas of life, whether from fashion, art or popular culture. Social responsibility is also a core tenet of the M.A.C philosophy, with initiatives such as Viva Glam and the M.A.C Aids Fund raising over $400 million to date, partnering with celebrity spokespeople including Lady Gaga and Nicki Minaj to raise funds and awareness. Adore Beauty is an authorised stockist of M.A.C Cosmetics. Showing 20 products of 68.
love soft and gentle so much that i repurchase it directly after losing it during moving. it just looks good but it can get a bit glittery if you don&apos;t blend it out.